Christmas according to Joseph Ratzinger Consistory. New cardinals’ profile show the Papal project for the Church. One year ago – it was the 30th of December 2010 – the publication of the Benedict XVI’s Motu Proprio for the prevention and countering of illegal activities in the area of monetary and financial dealings was considered one of the most important news. The Motu Proprio extended to the Holy See the Vatican Law n.127 concerning the prevention and the countering of money laundering for criminal activities and financing terrorism. The law had been adopted by the Pontificial Commission for the Vatican City State. The law established the Authority for Financial Information, a body that is similar to the Unity of Financial Information established in other countries, Italy included. The authority is intended to monitor whether the new law is applied or not. Some observers underlined that the establishment of the new authority can be considered a revolution for the so-called “Vatican finance”. This latter evokes – rightly or wrongly – several suggestions connected with the Institute for Religious Works (I.O.R.). After adopting the new law, the Holy See began a complex path to adequate to the international standard, according to GAFI (Financial Action Task Force) recommendations. This path would finally lead the Holy See to be enrolled in the «White List», the list of states most active in preventing and fighting the financial crimes.. In november, advisors of the Council of Europe made an on-the-spot investigation in Vatican. The news was not widely covered by the medias, and it did not seem to interest analysts and public opinion. Still, the motu proprio delivered one year ago signed the change of an era. Before it, Vatican did not have an Authority of Financial Information. Before it, Vatican boundaries were just with Italy, and monetary agreements were to be signed just with Italy. Vatican Lira (the coin issuanced before euro) was not the international lira, but Italian lira. The entrance in the European Union changed everything. The changes did not deal just with the Vatican. But the changes dealing with the Vatican had been widely covered by medias, mainly focusing on the I.O.R. issue. This interest letted show – according to some Vatican insiders – other kind of goals, as – for example – the attack to the sovereignty of Vatican City State, in order to undermine the diplomatic importance of the Holy See. Let us make a step back in time. 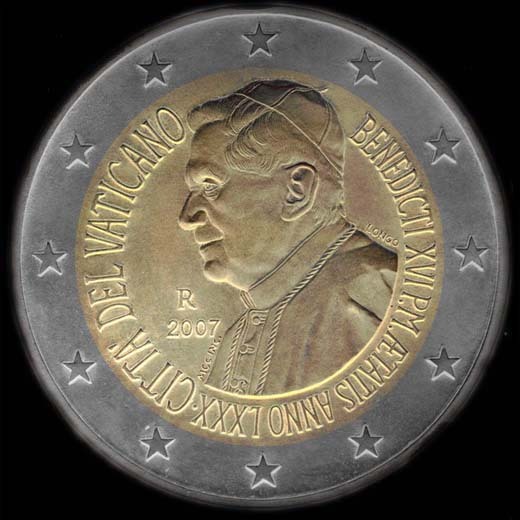 February 2009: European Commission communicates that the Monetary Agreements with Monaco, San Marino and the Vatican are to be reviewed. If the three countries wants to remain hooked to the European Monetary System, they need to uniform to European norms and procedures, peculiarly for what concerns the countering of money laundering and of financial aids to terrorism. The European Commission also asked to introduce a new uniform method for calculating the ceilings of euro coins issuance of the three countries and any country that would sign a Monetary Agreement with the Community in the future. In order to reach the objectives of the revisions, ad hoc bilateral commissions had been established. Since February 2009, Vatican and European Commission advisors (Italy is part of the table as observer) start up the job to define the new monetary agreement. European Union conditions immediately seem to restrictive. The relationship between Holy See and European Union are fraught. Vatican has the will to keep its autonomy, and so every single point of the agreement needs to be discussed and weighed up. But time is short. Mons. Carlo Maria Viganò, then secretary of the Governatory of the State of Vatican City, even proposed to unhook Holy See from the Euro area, in order to let the Holy See avoid to be subjected to too restrictive conditions. In some ways, it was a prophetic idea, considering the state-of-the-art of euro area and the choice of some countries – e.g. Great Britain – to keep out from the euro area. Someone also propose not to close the agreement within the year 2009, and to postpone the closure of the agreement to 2010. Hierarchies of the Holy See did not take in consideration both of the hypothesis. The costs would be so high, both for political and economical reasons. A postponing would bring – for example – to a suspension of the coins issuance and stamps issuance, which are among the most important incomes of Vatican City State. It is too complicated. The monetary agreement is finally signed on December, 17th 2009. It is a day full of tensions. The monetary agreement would be signed contextually by Joaquin Almunia, Europen commissioner for Economical and Monetary Affairs, and mons. André Dupuy, Apostolic Nuncio to the European Union. Almunia refuse to sign the agreement in the same room with the pontifical representant, and so Dupuy and Almunia sign the agreement each one in their own office. Almunia fairly slight the Holy See, also because of the fraught relationships between the Spanish Socialists and Catholic Church. The same Almunia, once he will be appointed as European Commissioner for Concurrency, will start the procedure against the Italian State for favoritism toward the Church because of a special fiscal regime – in fact the fiscal regime enjoyed in Italy by Churches that signed a Concordat with Italian State. Inside the Vatican, things goes on quickly, even because time is short. The Vatican Law 127 is adopted and it is decided to extend the effects of the new regulations to the Holy See via a motu proprio by Benedict XVI. The Motu Proprio is released the 30th of December 2010, right in time not to let the agreement lapse. According to some Vatican insiders, the institution of the Authority for Financial Information would mean that the same Ettore Gotti Tedeschi, president of the Commission of Vigilance of the I.O.R., is not given a blank cheque by the Pope, since the I.O.R. itself is subjected to monitoring. But it is not downhill from there. In September 2010, two money transfers of the I.O.R. are subjected to preventive seizure for a suspected violations of the norms against money laundering. I.O.R. moved money from an account it owned toward the Credito Artigiano ,a «friend bank», whose president, Antonio De Censi, seated in the Commission of Vigilance of the I.O.R. The I.O.R. ordered Credito Artigiano to make two transfers with the money in that same account: one of 3 million to an account at Banca del Fucino in Rome, and another of 20 million to a JP Morgan account in Frankfurt. Both the account were owned by the I.O.R. The Banca d’Italia (Bank of Italy) demanded detailed information on the ownership of the accounts of the I.O.R. and the recipients of the transactions, but all the explanations are considered not sufficient. The money are seized, waiting for further investigations. They will be un-seized just when the Vatican counter money laundering regulations has come into effect. In the meantime, Ettore Gotti Tedeschi – taking an unprecedent and (according to many insiders) questionable decision – agreed to be questioned by the magistrates of Rome, and is questioned in the offices of the public prosecutor in Rome. His deposition filled 91 pages of transcripts. In it, he explained his action as «a demonstration of the desire to comply with a new era», and he also explained why and how the transfer took places. The magistrates did not deem satisfactory the clarifications given. Gotti Tedeschi’s deposition created a disagreeable precedent in the diplomatic relationships between Holy See and Italy: if Holy See is a sovereign country, magistrates of a foreign country – Italian ones included – must submit a request internationally,forwarding the request through diplomatic channels to the Holy See as a foreign state, to question one of its employees. More. The president of the body of a country cannot be questioned from a judicial authority of another country but renouncing his immunity. Otherwise, his personal choice would imply to the a de facto demission to the immunity of the body itself. Gotti Tedeschi’s choice is something incomprehensible in terms of international relations. This is one of the topics in discussion within the Authority for Financial Information, headed by card. Attilio Nicora (former president of the A.P.S.A., a sort of “central bank” of the Vatican) and leaded by a directive council that enlists among his members Giuseppe Dalla Torre, one of the most authoritative and trusted people of the Holy See. Excepted Nicora, Dalla Torre and an internationalist jurist come from other charges within the Holy See, many members of the Authority for Financial Information come from Italian banks and from Bank of Italy, where they were not appointed in important charges. Is the composition of the board coherent with the universality of the Holy See, whose employees are traditionally chose internationally? The imbalance to Italy is considered by many Vatican insiders a sign of weakness and source of risks, more than of opportunity, since the troubles of the Holy See came from a request of the Bank of Italy headed by Mario Draghi (now president of the European Central Bank). On September, 14th 2011, Holy See delivered to European Union a preliminary paper, in order to illustrate the normative and institutional framework of the Holy See and of Vatican City State, and to explain the initiatives issued to adequate the regulations to the international standards. At the end of November, the advisors of the European Council made an on-the-spot investigation. Contrary to expectations – maybe especially to Bank of Italy’s expectations – it seems that the I.O.R. has been found healthy regarding international standards. At the half of 2012, MoneyVal – the body of the Council of Europe that ensure that its member states have in place effective systems to counter money laundering and terrorist financing and comply with the relevant international standards in these fields – will discuss the report on the Holy See and on the State of Vatican City. In the meantime, the reformation of Vatican finance is intensively in progress. The game is not yet over, and no one knows how it will end.